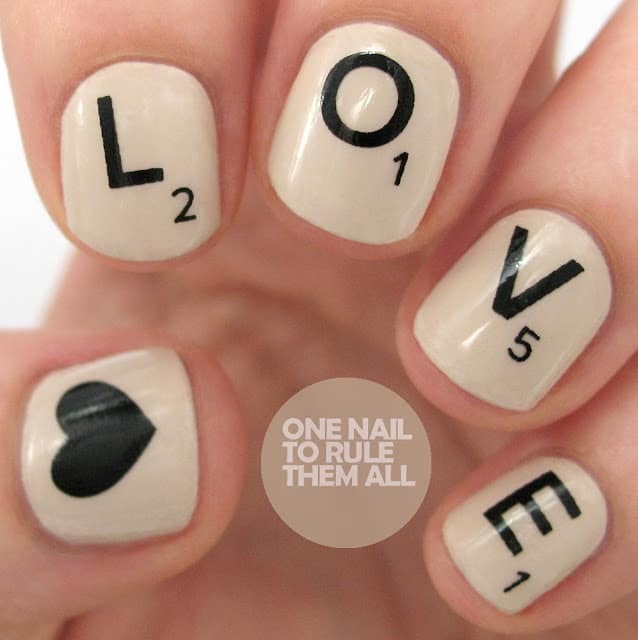 These Valentines nail designs range from super simple to a little more intricate to get you in the mood for love. Valentine’s day is the perfect excuse to rock some hearts. Of course, it’s no secret that all of the holidays produce the most festive and fun fingertips. If you have checked out our other posts then you know there are some jaw-dropping designs for Christmas, Halloween, Easter, Thanksgiving, etc. But we can’t forget Valentine’s Day and just because filling out Valentine’s Day cards for classmates may be a thing of the past (long past in my case) doesn’t mean you can’t show your spirit for the holiday. A classic red or pink nail is perfect for any time of the year so why not go a little crazy this Valentine and do something sugary sweet. If you got a date with your special someone or even if you decided to stay home, nothing would make you feel loved by pampering yourself with the perfect set of nails. 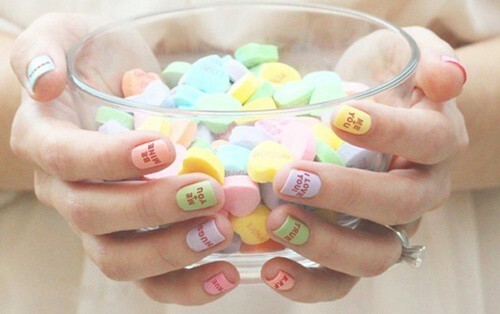 Wear your heart on your nails with one of these super-sweet Valentine designs. 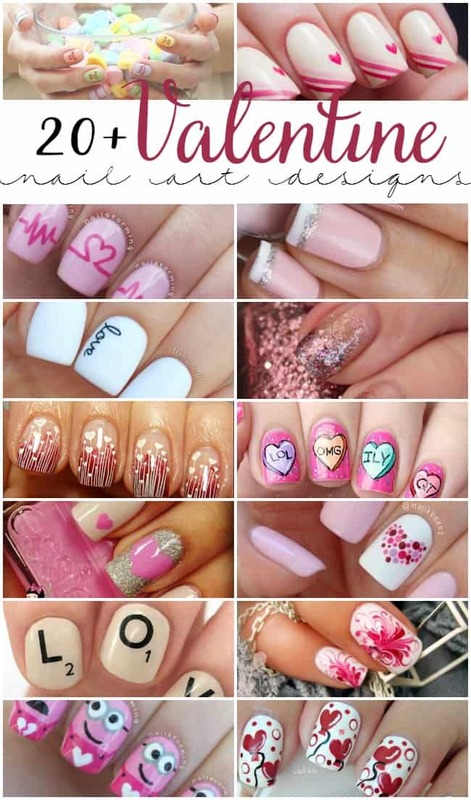 Here are some of our favorite examples to nail your Valentine’s Day manicure with one of these super-sweet designs. Whether you’re obsessed with pink or stick to an all-black wardrobe, you’ll spot your perfect match among these top picks. 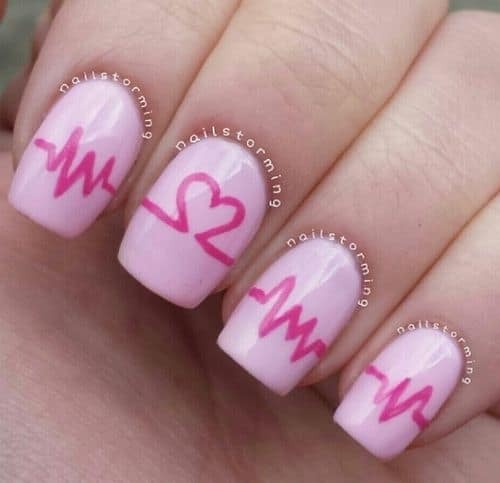 I love me some conversation hearts and these nails are too cute. These gray stripes remind me of a newspaper. 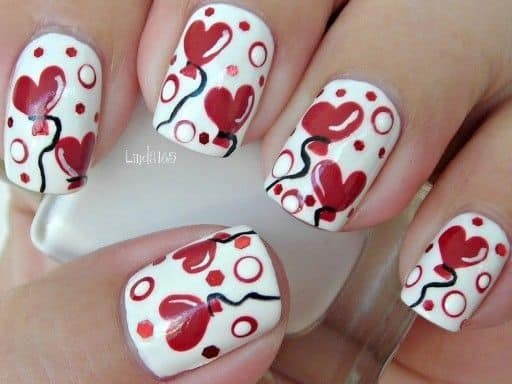 Lots of fun for a simple and cute Valentine’s Day nail design. I can’t even with these. Be still my heart. 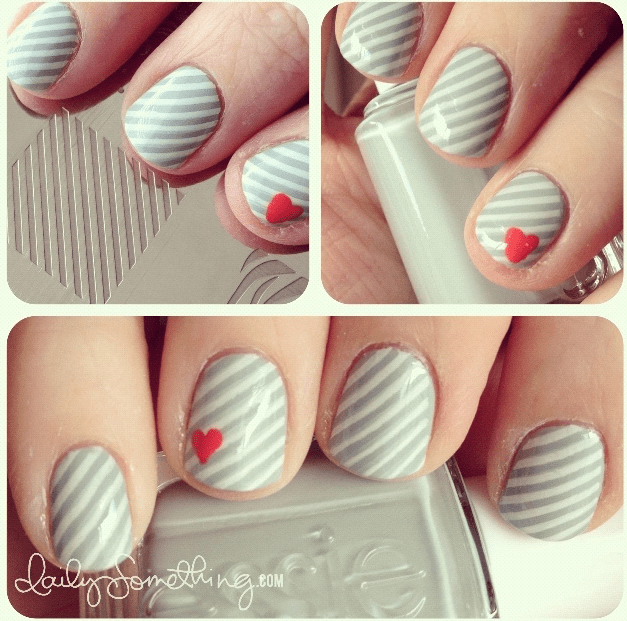 If you are scared of the more intricate ones this ombre stripe is fairly simple and chalkboard nails show you just how to do it. Another super simple but oh so cute one. 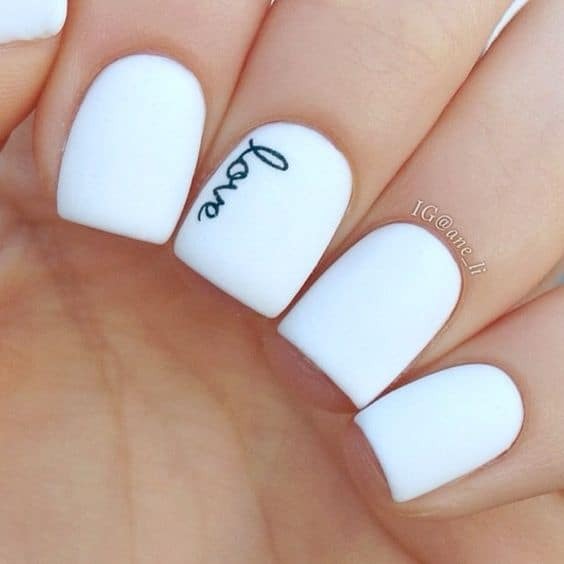 Scrabble nails? I love them… One nail to rule them all is on point with this one. 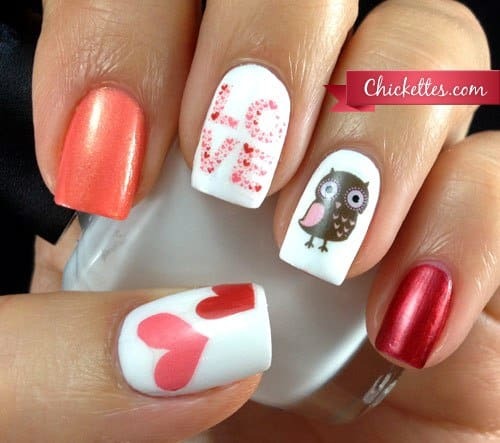 So simple but one of these cutest of the whole bunch of Valentines Nail Designs. I told you there was so many awesome and talented nail artist right? I hope you gave one, two or a few a try. Let me know which one is your favorite and be sure to pop over and let the ladies know how much you love their work too. Aftercare is very important if you want to your you nail art longer. There are hardening nail polishes which coat your nail art and protect it from getting chipped. 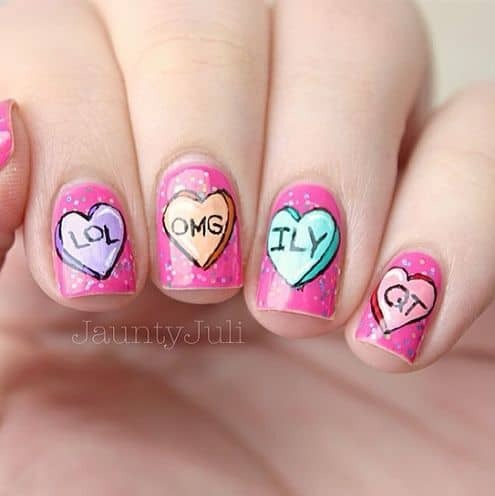 Don’t want to DIY your own Valentines nail designs? 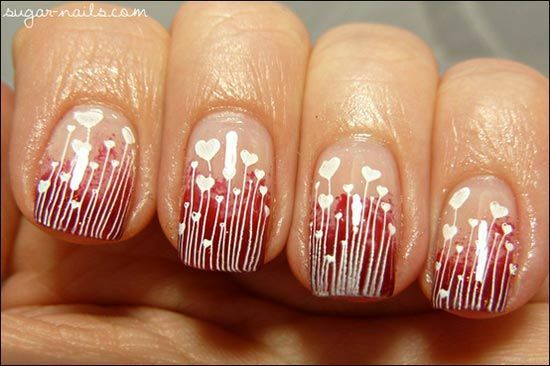 You can also find some fun nail stickers that would work perfectly as well. 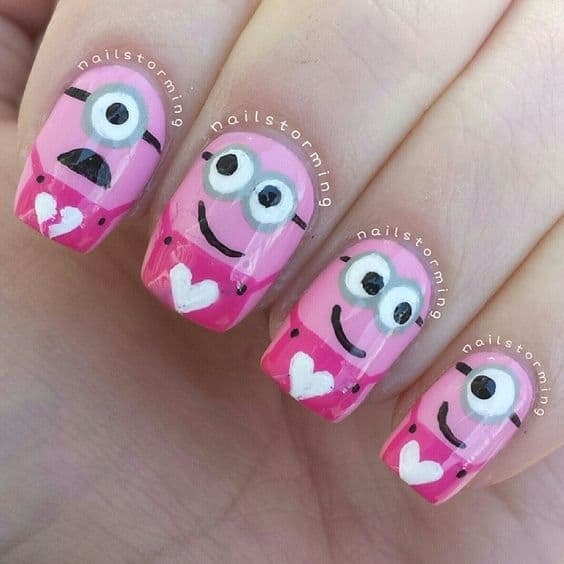 If you enjoy this cute Valentines nail designs post you might also enjoy these. LOVE all of these ideas! 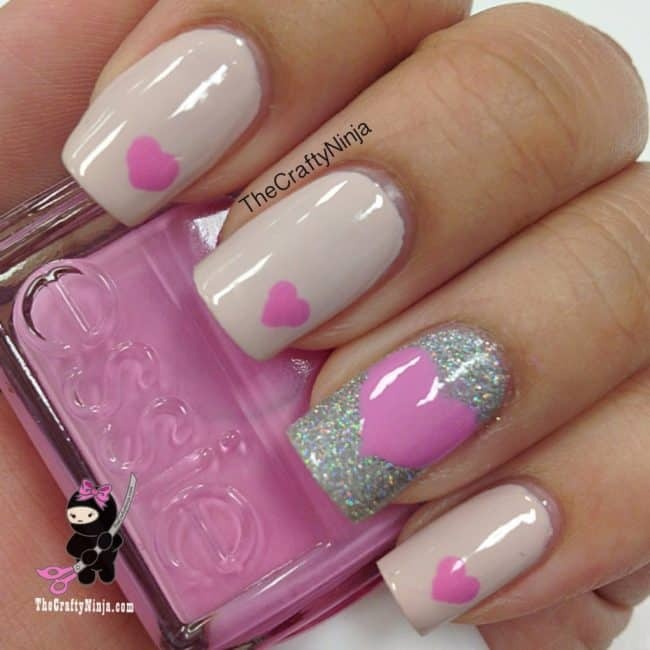 I want to try the candy heart nails!! 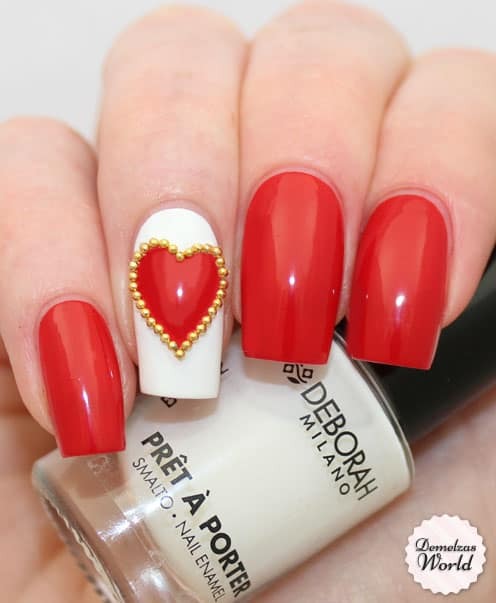 Ooh, I love several of these Valentine nails, so cute! 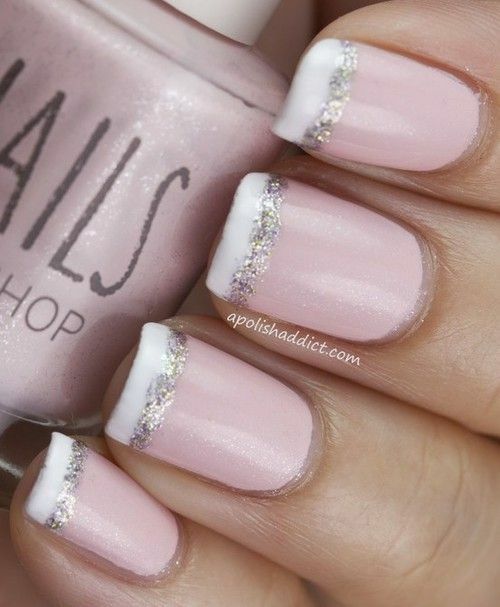 I especially love the light pink with white tips and silver line, tres fancy!